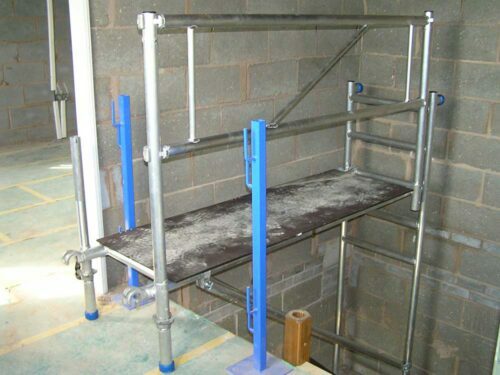 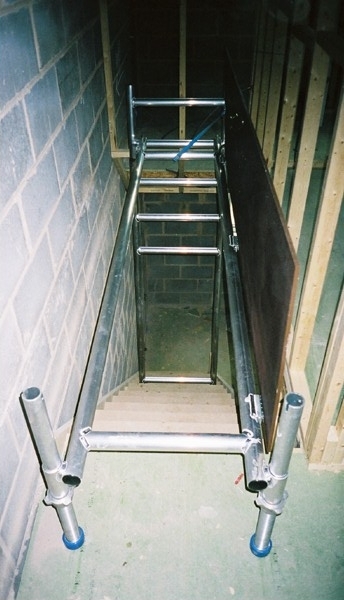 Stairsafe is such a simple system comprising of just two main components – the ladder frame & platform – that it is extremely easy to use and very flexible suiting most stairwell types. 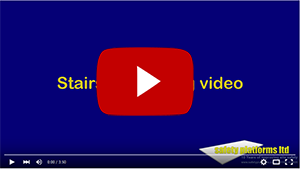 Stairsafe provides a safe, practical and cost effective solution to health and safety issues when working within stairwells. 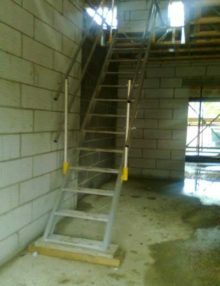 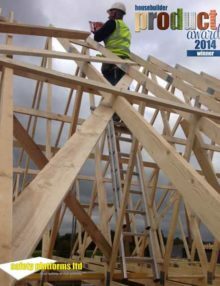 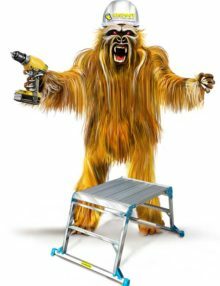 Gone is the need for operatives to balance on a ladder and a 9” wide scaffold board or pay for a stairwell scaffold erecting. 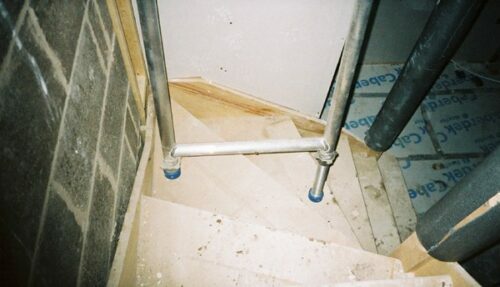 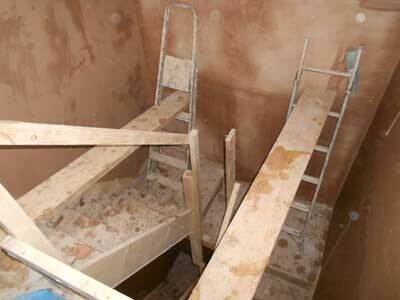 Note: Picture to the right shows Stairsafe on display staircase with optional guardrail and braces fitted. 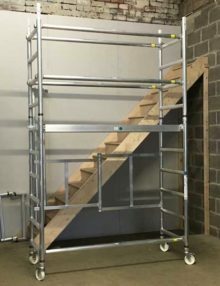 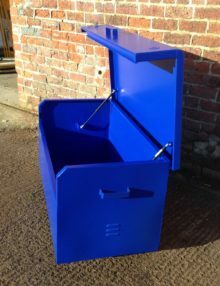 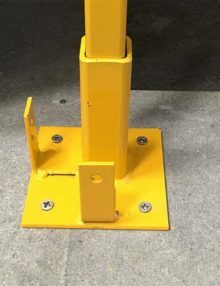 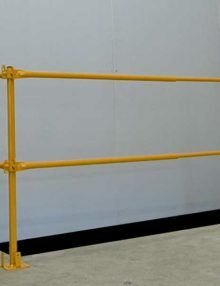 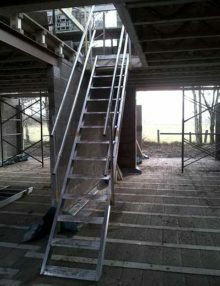 A safe working platform can be formed from only two components and can be erected by one person in less than two minutes.Open frame and long trapdoor deck allow stair access to be maintained. 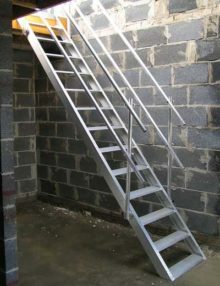 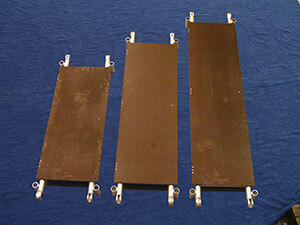 Lightweight aluminium/ plywood platform weighs only 14kg and it is therefore easy to carry up stairs. 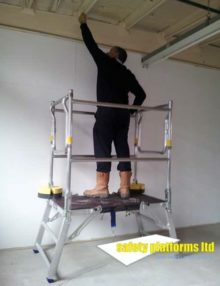 Leaving a company and individual open to prosecution under the Work at Height Regulations!